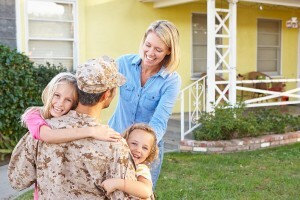 Real Estate Recovery Mission provides low income Families and Veterans with an option to buy or rent renovated properties below market Value. We are currently working on renovation of several houses in Barstow and Victorville ( San Bernardino County ) which we did acquire by purchase and some as donation Directly from Banks. We are able to acquire those properties because we are member of National Stabilization Trust. 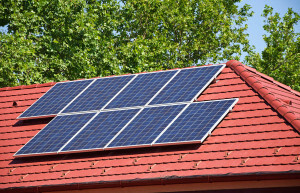 We use solar panels and other green energy features on our properties . A house that is in disrepair is a house that poses safety hazards and inefficiently uses energy. We want to treat our clients with respect and dignity, and that means building them a house that is safe & welcoming. In order to do so, we hire a contractor that is experienced with housing laws & regulations and in compliance with OSHA. Our houses are also built to be eco-friendly, utilizing green energy methods to help reduce energy costs on both our organization and the clients we provide housing to. Green energy also reduces our footprint on the environment. Our priority is to rent our homes to Homeless veterans under government HUD/VASH program working with Housing Authority in San Bernardino County . We understand that every family’s situation is unique, and tailor our advice, guidance, and support accordingly. Some clients may feasibly be able to purchase a house soon, while others may need guidance on how to clear derogatory items off of their credit report before buying. Our key item for ensuring green energy is our plan to create a solar farm. We possess two sunny acres to build this farm on, and have secured an agreement with Edison Electricity that will allow us to sell excess energy generated to help fund our organization. Those funds will be used to help our Homes renovation and construction projects for low income and homeless people. We plan on creating a shelter for homeless people and homeless veterans in the beautiful Mountain Region. This facility will also keep to our green energy standards. We are in Great need of Financial support for that project. We own the Land for that Veterans Homeless Shelter – we have already contractor plans and estimate of construction but we need financial support to start that worthwhile project.